Some people prefer to perform their own services, rather than suffer the inconvenience of booking into an auto shop in Brisbane. Mobile car servicing, however, is the logical solution if you don’t want to worry about getting to and from a service centre, but if you still want to do your own minor services, then here are the 7 tools you will need. Axle stands: These are safer than a jack, because they keep your car more secure and stable, and as long as you have the brake engaged, are far less likely to topple your car than a jack – important when you need to be underneath your car! Oil pan: If you are going to be changing your oil, then you need something to catch the oil and an oil pan is very cheap and inexpensive. 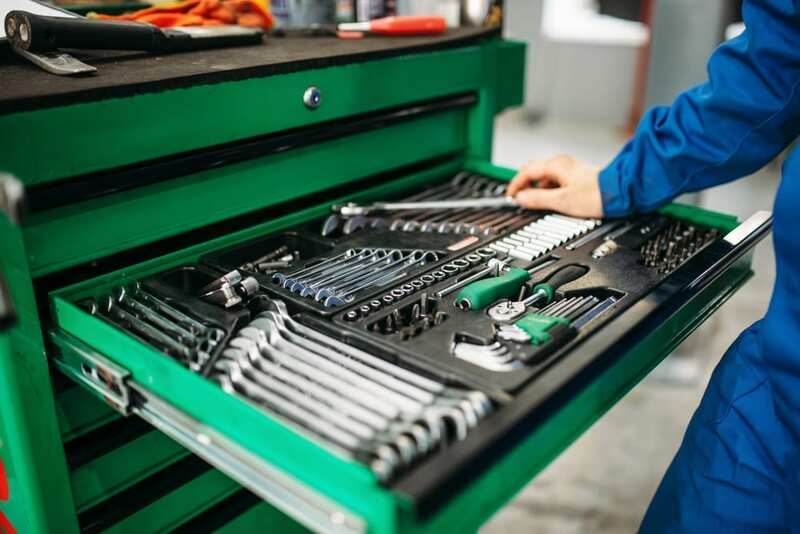 Wrench & spanner sets: You might already have a few of these in your garage and you will most probably collect more if you service or repair your own vehicle. A basic set should get you started, but if you book Premium Mechanical’s mobile car servicing in Brisbane, you won’t need to go to the expense of buying new tools. Wheel chocks: Whenever your raise the front or back or your car off the ground, these chocks will stop it rolling backwards or forwards. They are an essential safety measure in all DIY garages. Lug wrenches: If you have ever changed a flat tyre, you will know how handy a lug wrench is to the job, so you most probably have one of these already. Jumper cables: Another useful addition to your DIY garage are, jumper cables, which can get you out of a lot of trouble fast! For affordable and convenient mobile car servicing in Brisbane, call Premium Mechanical Services on 0422 156 277 or send us an email.